If any of these sound familiar, you might be thinking, “Is it not bad enough to worry all the time about someone and suffer the stress of their erratic behavior, without having all these other people share their worries with me too? !” Fair question. Usually people are trying to help, be compassionate, or show concern. Sometimes, however, the magnetism of gossip may overrule empathy – or people have good intentions, but their ideas are so rigid about what you “should” be doing that it understandably comes off as pushy or condescending. People usually have no idea the uncomfortable, awkward, and stressful position they are putting you in by these questions/comments. You may be thinking, “I wish people would just keep out of my business” and find yourself having a strong desire to push people away. We recommend that you try to resist this urge as studies show time and again that social connections during stressful periods have a profoundly positive effect on physical health and mental well-being. 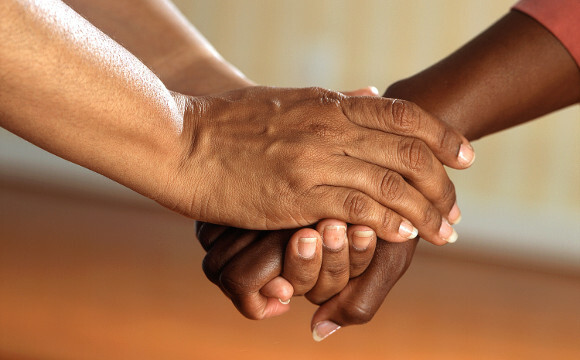 When someone is showing concern or compassion, it is likely worth your time to find ways of engaging that person’s help and support even though it might not be your first instinct to ask for that support. The problem with this role? It typically does not work out very well. In fact, there is a significant chance that you will be blamed for lying (“I don’t believe they said that”), or influencing people against your loved one (e.g., “you told them to say that”), or putting a more negative spin on what people are saying “e.g., “you are making a huge deal of things so why wouldn’t they?, they don’t really know me”). Your loved one knows what you think, so their assumption is that you see everything through that lens. The better strategy is to step out of the way and suggest that the person expressing concern, talk directly to your loved one. This way their feedback can have a greater impact, especially if it comes from several different directions. The outcome will hopefully be that your loved one has a greater awareness that the rest of the world notices the downsides of their substance use, instead of minimizing it when you give them the negative feedback. For instance, which sounds like it will have a greater impact? While your opinion matters (research clearly shows this to be true), spreading around the responsibility for giving feedback can increase the impact on your loved one as well as decrease the stress and pressure on you! Additionally, asking others if they could talk directly with your loved one about how they feel and what they’re seeing might decrease your stress in another way: you might gain a person to talk to and get support from! And how about responding to “I don’t know why you put up with her! Why don’t you kick her out?” It’s probably best to find ways to limit your contact and/or discourage their questions. Having a game plan for how you’ll be in contact with them or specifically what you can say (in your own words, that you think will be reasonable for you to say in the moment) can help you feel more in control. For more thoughts and suggestions on that, stay tuned to next month’s newsletter!